In modern dentistry, there are several thousand materials utilized in more than 16,000 dental products. Knowing how each material reacts with a patient’s unique body chemistry is essential to maintaining optimal health, ensuring long-lasting dental restorations, and reducing the risk of adverse reaction. 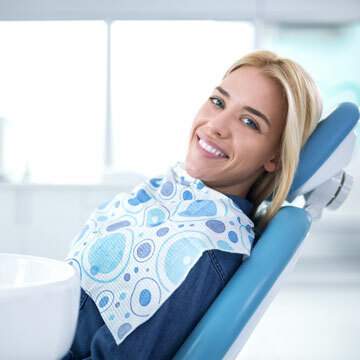 Dr. Olivia Hart offers a leading-edge dental material biocompatibility test for patients of Richmond Family Dentistry in Richmond, VA.
What is a dental compatibility test? The term “biocompatible” refers to substances that exist in harmony with a living organism, causing no harm. “Bioinert” means bodily tissues do not have a negative reaction to the material. Dr. Hart strives to use dental materials that are both biocompatible and bioinert – tailored to your own physiology. Dental material allergy testing prior to a procedure helps to ensure this. Clifford Materials Reactivity Testing (CMRT) is a laboratory screening of a small blood sample drawn from the patient, to identify existing chemical sensitivities. The screening panel aligns the patient’s reactivity with a multitude of common dental materials. Dr. Hart uses this information to determine the safest products for treatment and dental restorations. Dental material testing is especially important for anyone with existing allergies, as well as those with sensitive or stressed immune systems. Research shows that placing one or more reactive dental materials in the mouth increases the burden on the immune system, perpetuating systemic inflammation, disease, and deterioration in health. All metals, compounds, and chemicals used in dentistry have the potential to challenge the immune system for patients who are reactive. Because each of us has a unique biochemistry, one person might respond quite differently to a material that is safe for other individuals. Since the body is exposed to dental materials 24/7/365, they can pose serious health problems. It is impossible to determine this risk without testing. Contact Dr. Olivia Hart of Richmond Family Dentistry for a dental material compatibility test to make sure your next dental treatment is biocompatible. Click here to make an appointment now or call (804) 381-6238 to learn more.